We always seem to be on holiday when there's a referendum taking place. We were in Croatia during the Scottish independence referendum in 2014, and it turned out that we would also be on holiday in Wales at the time of the UK EU 'Brexit' referendum. Prior to both holidays, we had cast our postal votes. 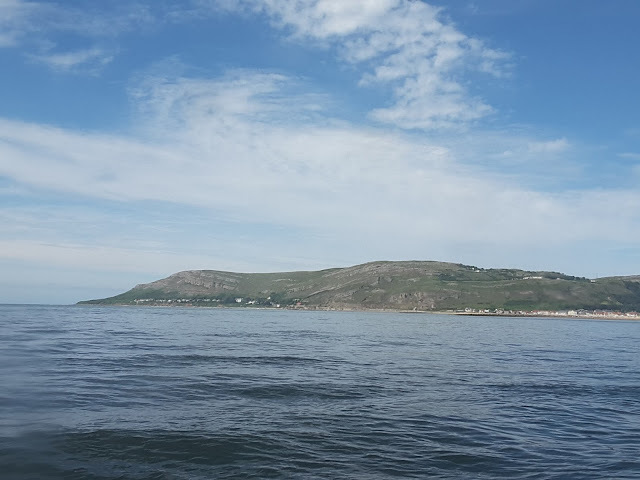 Today is our last full day in Llandudno, a chance to pick up some last-minute souvenirs and one more thing on the to-do list. 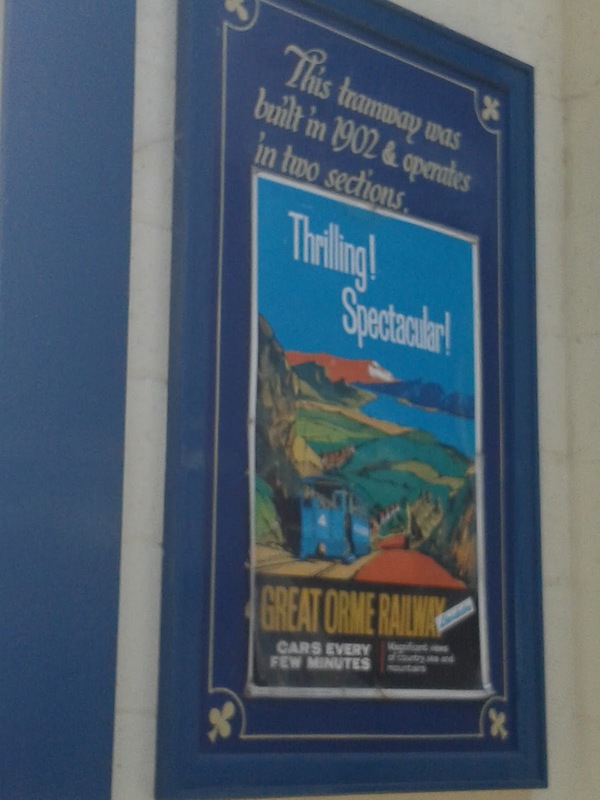 On Tuesday we had gone up the Great Orme in a vintage coach, but there is another way to get up to the summit: the Great Orme Tramway, which according to this poster, was built in 1902. It's a funicular system where you board one tram at the Victoria Station (on Church Walks) and then change over at the halfway station onto another tram which takes you up to the summit. 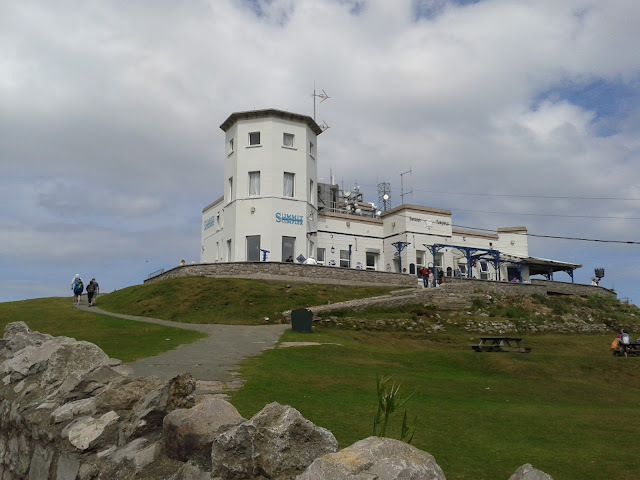 The Summit Complex (below) has a restaurant, cafe bar, children's play area and gift shop. 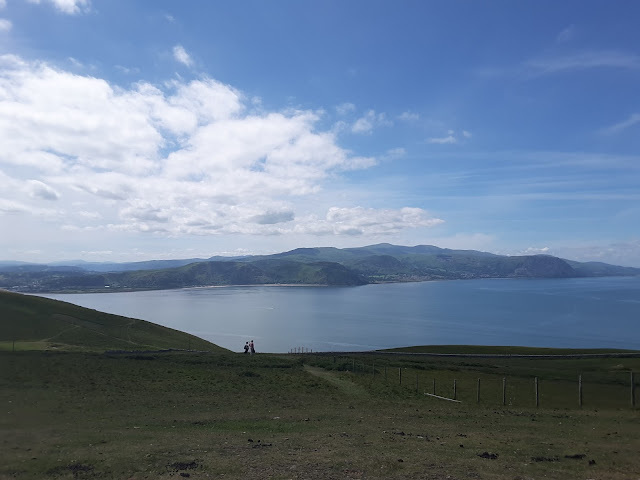 But most importantly, there are the stunning views - all the way over to Anglesey and Snowdonia in one direction, and Llandudno and Conwy in the other. Doing some research for the trip, we discovered that on a clear day you could see as far as Blackpool Tower and the Isle of Man but there was no sign of them today. But it doesn't really matter, because today's views are just fabulous anyway. You can also take the cable cars (above) but we decide to pass on that one! 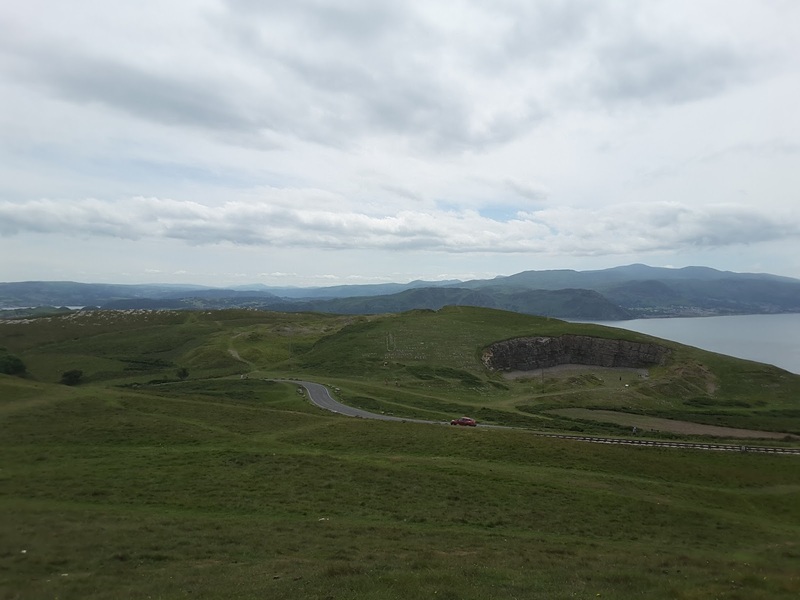 Standing on top of the Great Orme turned out to be a personally very emotional experience. It is such a calm, peaceful place, surrounded by all the beauty of nature. Standing here, it's even more difficult to understand why the world is such a dark place. We are completely overwhelmed by the beauty of some of the landscapes, many of which recall more continental views; almost fjord-like at times. 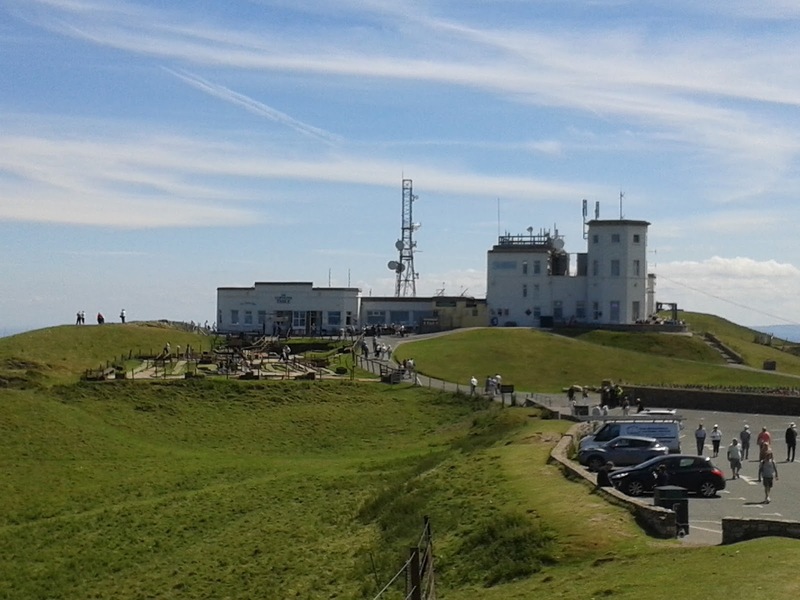 We spend some time at the summit (marked by the stone above) with stunning 360 degree views all around. After this, it's time for lunch and souvenir shopping in the Summit Complex. We then go on to explore the complex after lunch. 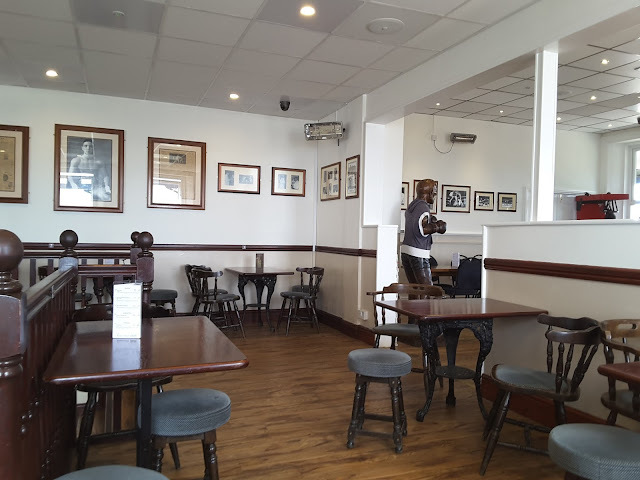 The boxing-themed Randolph Turpin bar (above) is a tribute to the late world champion boxer, who actually once owned the Summit Complex. 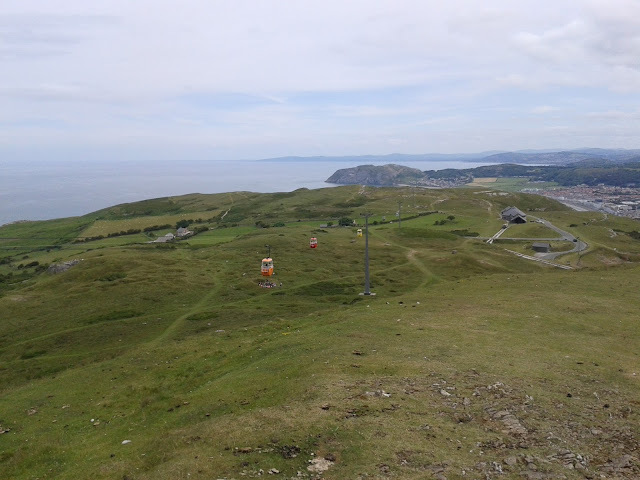 After some more exploring it's time to head back down on the tram into Llandudno. The tram journey is great fun and a must-do if you ever go on holiday to this cracking North Wales town. 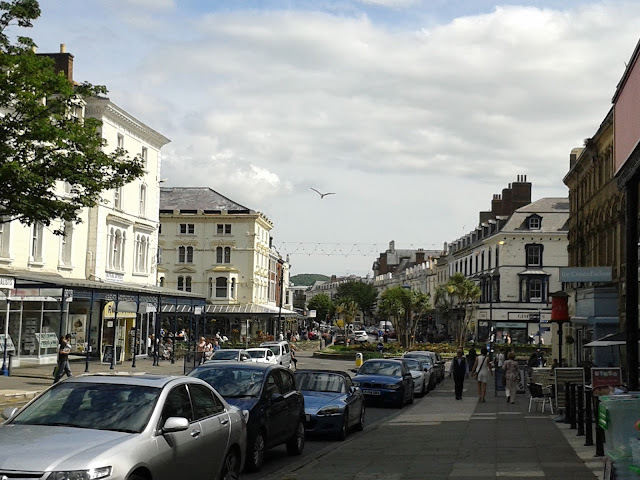 As it's our last full day in Llandudno, there's just some time for some last-minute shopping. 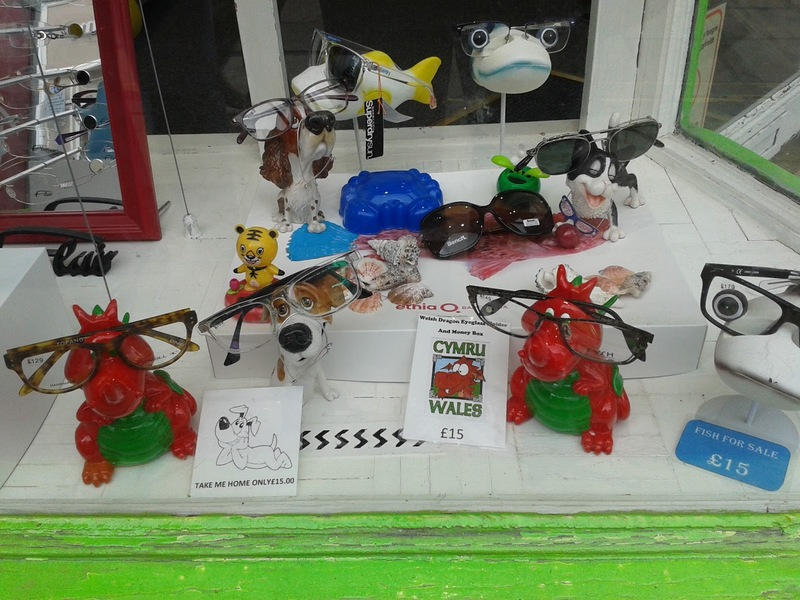 There's a good selection of shops in Mostyn Street, pictured below. 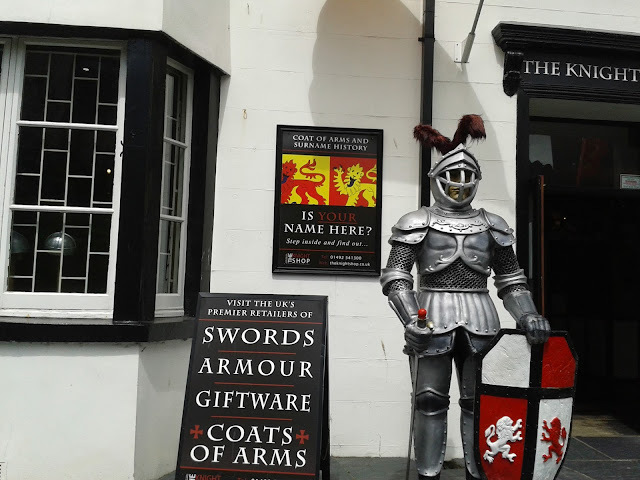 Well-known high street names share space on the street with souvenir shops where you can buy all your usual holiday souvenirs, from rock to soft toys. T-shirts and much more. You can also find a few good restaurants in and around Mostyn Street, and of course the ubiquitous fish and chip shops. Which brings me on to those pesky seagulls: a more unwelcome aspect of the British seaside holiday. Yes I know it's the seaside, and it's their natural habitat, and they deserve to be there more than we do...but boy, are they annoying! As seasoned travellers (and in my case, a veteran of Blackpool holidays since early childhood) we are well aware that you don't eat anything in the vicinity of swooping seagulls: unfortunately there are still some people who will still risk life and limb eating their takeaway fish and chips in the street! After a stop for coffee, it's time to head back to the hotel to do some packing as we're going home tomorrow. One more evening meal to follow, at yet another one of those nice restaurants in Mostyn Street, followed by our last late-night stroll along the promenade. In just a few seconds, everything changed. I switch on my tablet to find out the result of the Brexit referendum. And I can't believe what I see. You know when you have a really bad dream which is so vivid that you can't believe it was only a dream? Or more appropriately, a nightmare? The only difference here is that we don't wake up. 'Brexit' is happening. 51.9% of the UK voting electorate have voted for this country to leave the European Union. I don't want to be dramatic, but our immediate reaction is heartbreak. We can't believe what is happening. The nightmare is real. And then we discover that 62% of voters in our own country, Scotland, have voted to remain in the EU, but due to the geographical politics in this country, it won't matter. We will be overruled, and Scotland will have to leave the EU against our will. I could go on, but that's for another time and place. One day I will write a blog post over at Random Ramblings about this, but right now I am too shocked, too hurt, too sad. And above all, too angry. Minutes before we go for breakfast, David Cameron resigns as prime minister. Subsequent days will bring political turmoil and upheaval on a level pretty unfamiliar to the usual boring British political landscape. Unfortunately there are a couple of hiccups outwith our control which spoil our journey home. Today hasn't been the best day, has it? But we eventually arrive home, despite the travel delays. 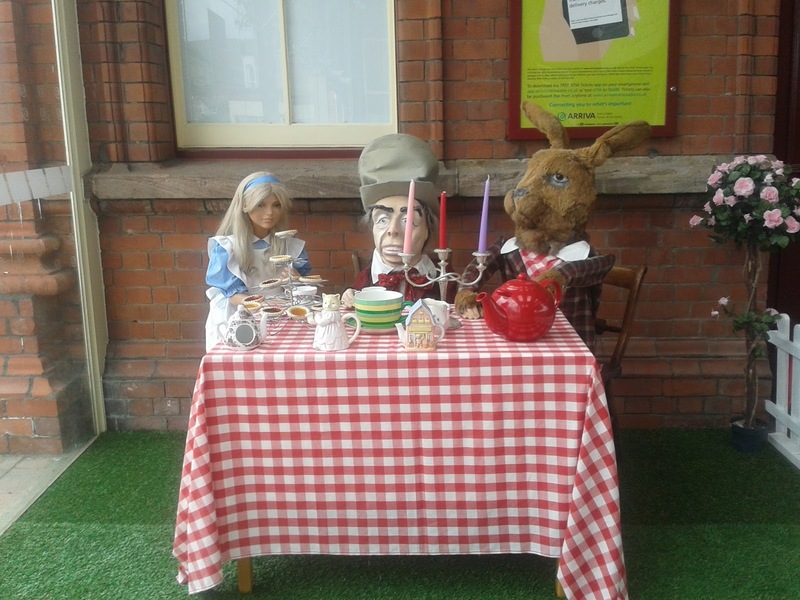 We have left Llandudno behind, but like many of our travel destinations over the years, it will live long and fondly in our memories. Our first trip to Wales was a very enjoyable one and we would look forward to returning there. 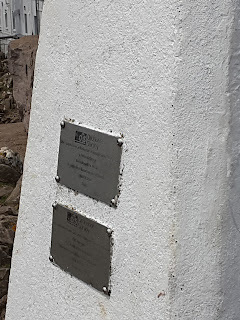 We were lucky to have such a great holiday: the weather was lovely, dry and warm (a big change from home, where rain is the norm) and there were so many activities to keep us interested during our short break. 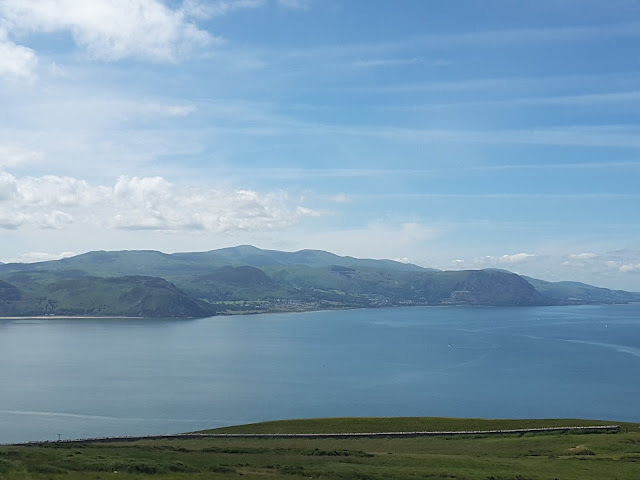 Over the years we have travelled to so many fascinating destinations across Europe, but Llandudno proved that destinations much closer to home have so much to offer. Although 2016 has been a horrible year in so many ways, faithful travelling companion and I will look back and remember two very memorable short break holidays in the UK - London and Llandudno. 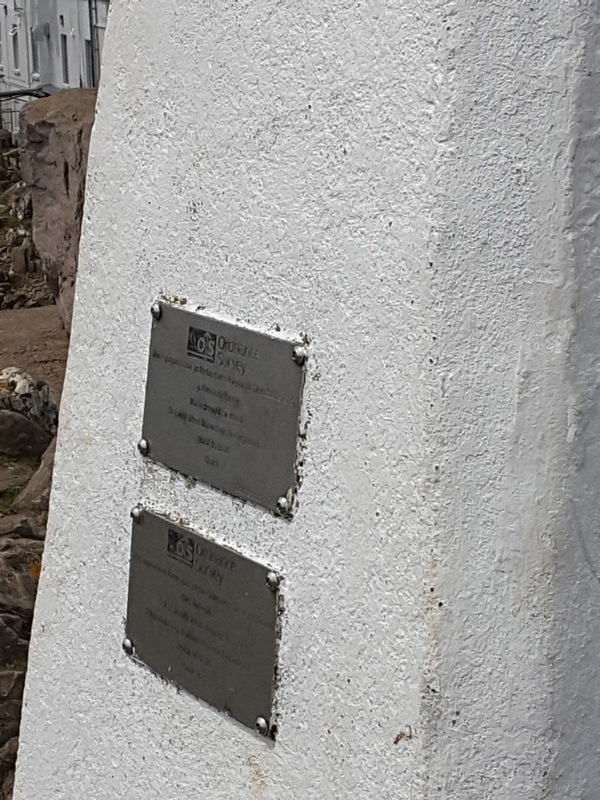 Both so very different, yet both of them are essential travel destinations. It seems to have become a tradition on our holidays to have a day trip out of town. So today we are off to the county town of Conwy, which is just a short bus journey away from Llandudno. There is a vast network of buses covering the towns/resorts of North Wales and if/when we return, we would definitely do more exploring. 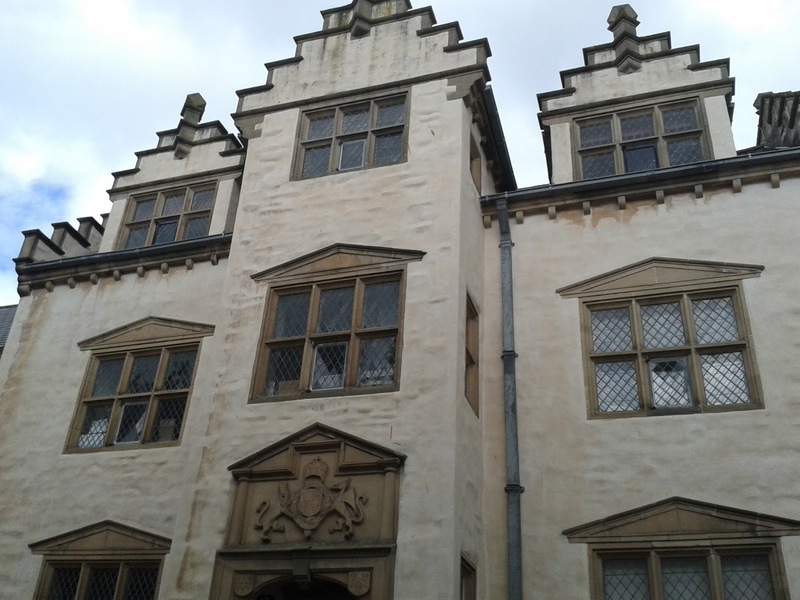 The town also boasts this exquisite 16th century townhouse by the name of Plas Mawr. After coffee and cake we take our first look at the town's gorgeous little harbour. I've never been to Cornwall but I imagine that is how Cornwall would look, However, we are not in Cornwall, we are in Wales! 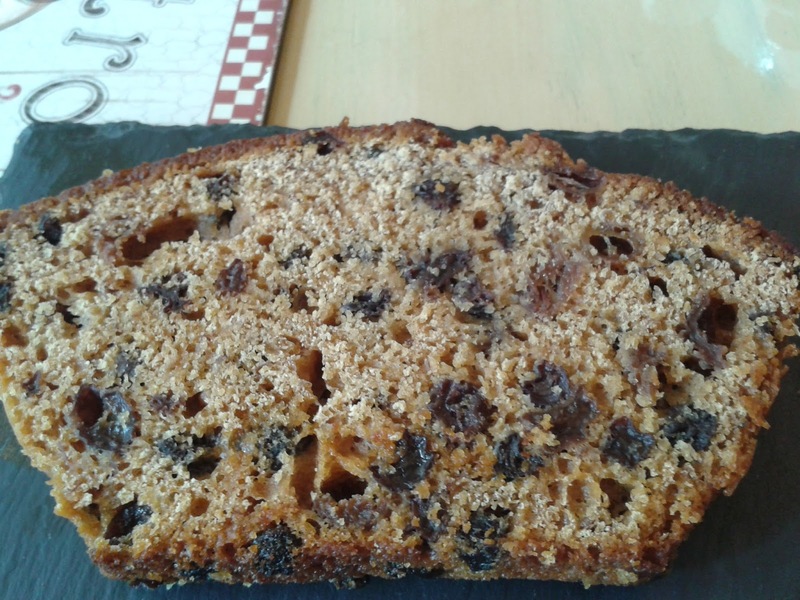 And it is lovely. 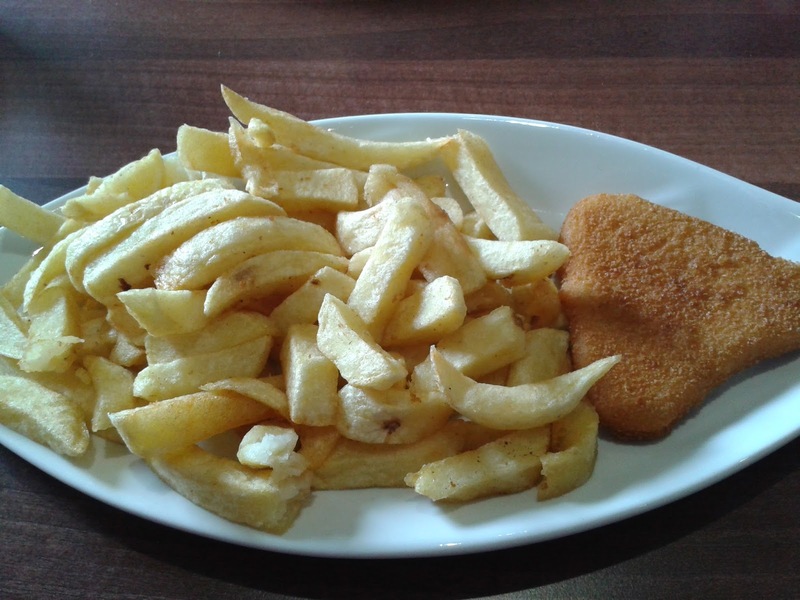 Faithful travelling companion has fish and chips, whilst I have chips and a cheese and onion fry-it (pictured above) which I'd never heard of before. The fry-it turns out to be cheese and onion in batter and is quite tasty as are the chips of course. Conwy has lots of little independent shops, craft shops, etc so its a great place to just stroll around. It even has a shop for all those people out there who are obsessed with those days of old when knights were bold! 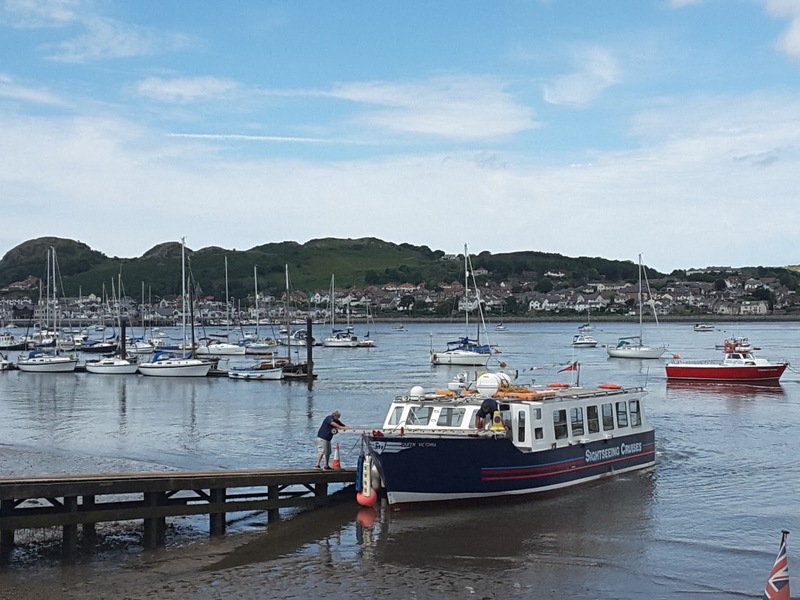 Conwy boasts a big attraction and a small one. 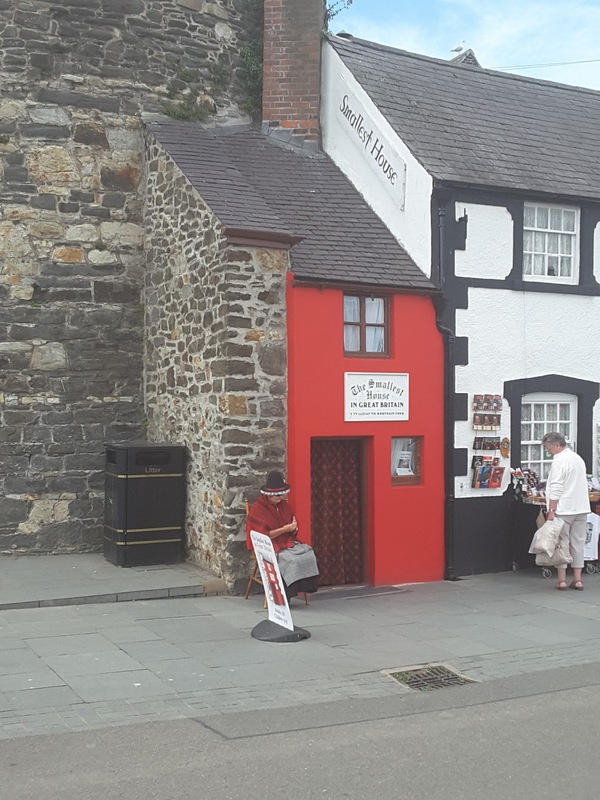 This little red building is the smallest house in Great Britain, and is located facing the harbour. 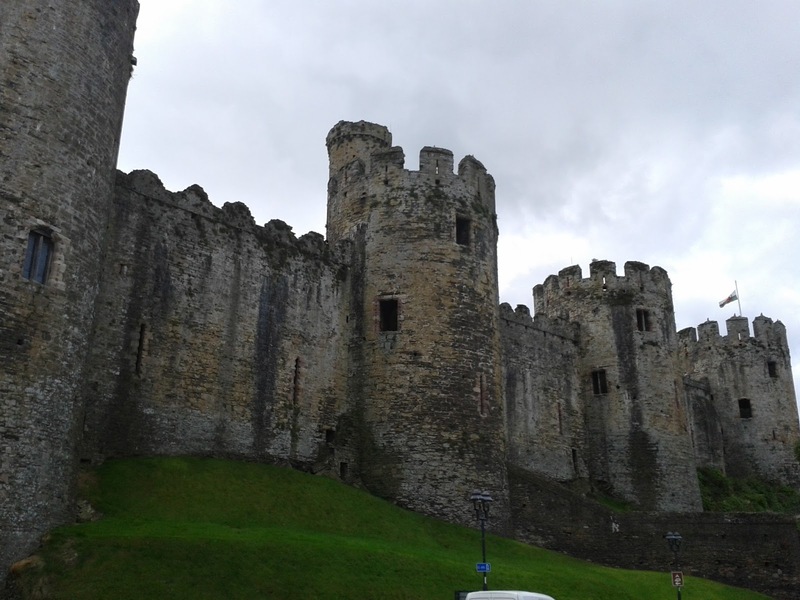 On the other side of the harbour is the stunning Conwy Castle. 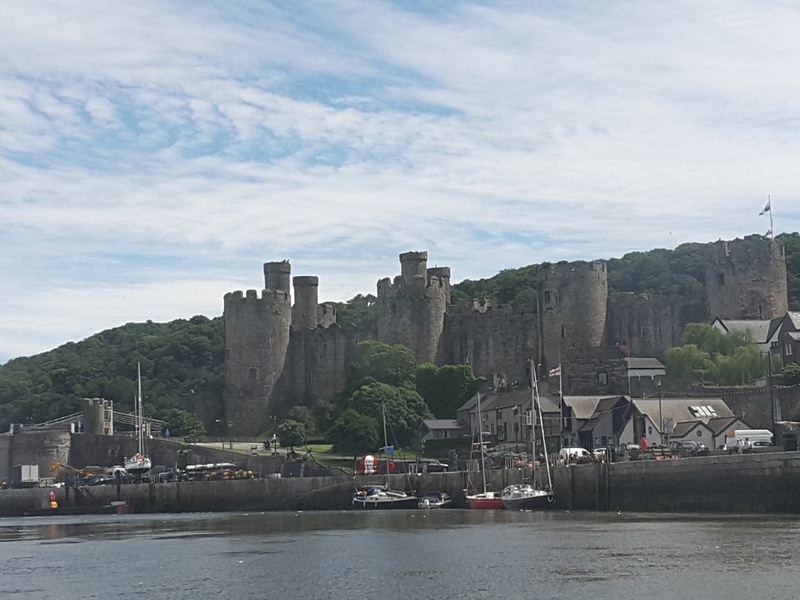 Due to our tight schedule today we don't have time to explore the castle from the inside, but there are other views to be had from the water. Regular readers will be aware of my love of boat trips on holiday so we couldn't resist the opportunity to take a half-hour boat trip around the harbour on the Queen Victoria (pictured below) and out to the estuary, passing the Great Orme and returning to the harbour with a smashing view of Conwy Castle on this beautiful warm day. The temperature seems to have risen as the afternoon's gone on and the weather is now very hot. 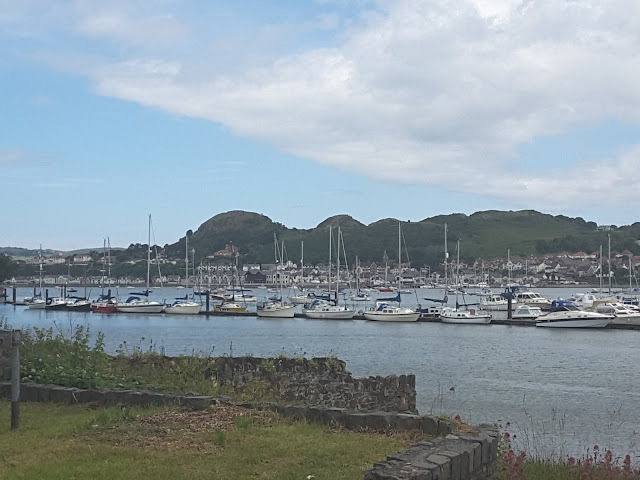 We need to leave Conwy but before we do, time for a late afternoon coffee stop. Then it's back on the bus for the short journey back to Llandudno, to get ready for yet another dinner at one of the town's many restaurants. Regular readers may have noticed that there hasn't been too much activity on this blog over the past few months, and some important posts remain unpublished. I just wanted to explain that there are various reasons for this, including lack of time/exhaustion and basically my own health hasn't been so great. But most importantly it's also been a very upsetting summer due to difficult personal circumstances. After a very upsetting few months, we lost a close family member during the past couple of weeks. He was taken from us far, far too young after a short period of serious illness. I won't go into any more detail but suffice to say that it has been a very upsetting time for faithful travelling companion and myself. Over the next couple of weeks I'm hoping to catch up and publish some of those outstanding posts: I'm now off work for my annual summer-fortnight so should hopefully find some time to post my Eurovision reviews (only 4 months late, which seems to have become the norm over the past couple of years...!). Talking of Eurovision, there has been some big news over the past few days that Kyiv will be the ESC 2017 host city, after weeks of on-off rumour, speculation and false alarms. That news, and the opening of song-submission season, means that off-season is, well. off!